Favourite of Roman magistrates and Byzantine rulers, purple has long been a regal hue, adorning thrones, capes, vestments, and stoles. 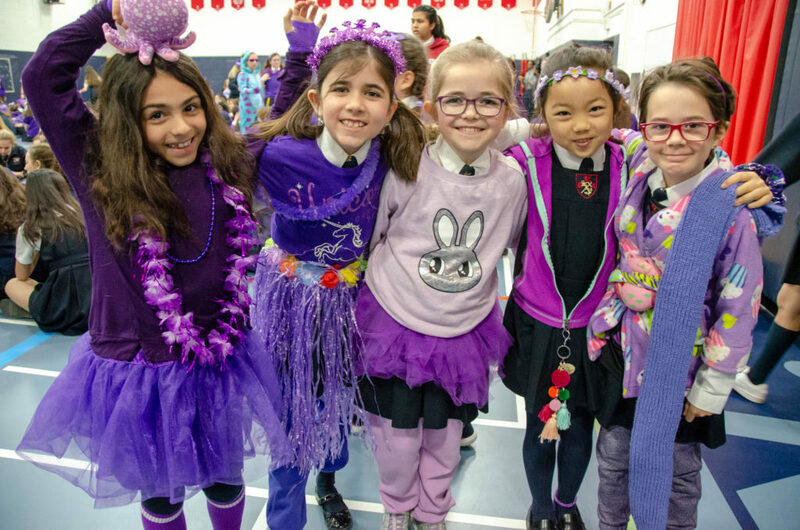 On April 5, St. Clement’s rang its royal colours for Windsor House Day and the School was bedecked in every possible shade from eggplant and plum to mulberry and lilac. Windsor was the last of the four House Days for the 2018-19 school year. The year started with Tudor House Day back in November, followed by York, Stuart, and most recently Windsor. Everyone in the School is divided into one of the four Houses, and throughout the course of this year the four Houses have competed to win the House Cup which is awarded each May. 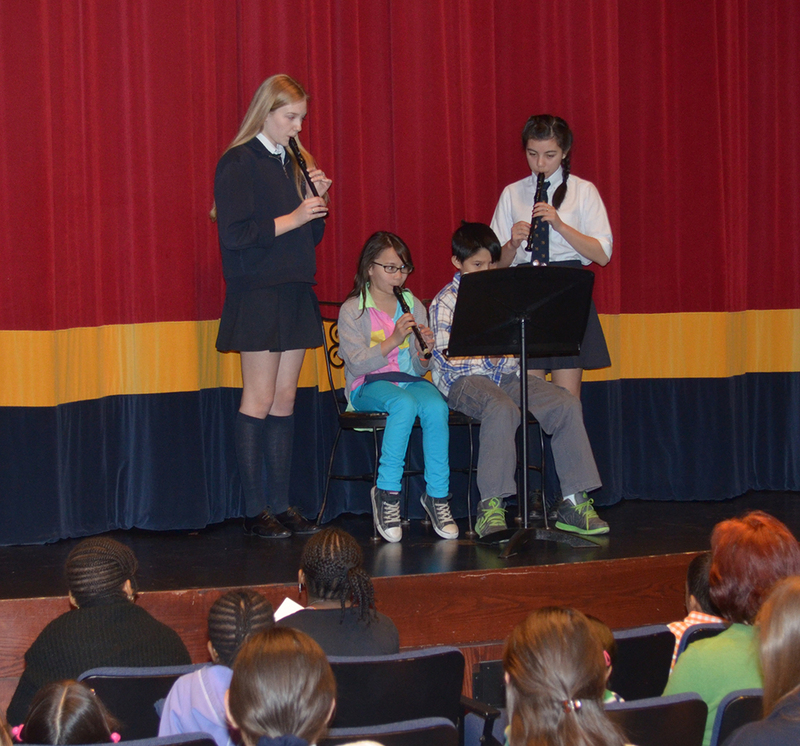 While the House Day assemblies may be the cacophonous and colourful culmination of a House’s efforts to make their mark, the process of earning points towards being crowned the ultimate winner is far more involved. From the start of the school year until the very end, Houses are awarded points for volunteering, leadership, ambassadorship, and more. Not only was purple in abundance at Windsor House Day, but there were a few guest appearances by characters from the day’s theme, Monsters, Inc. By the time the dust had settled and the decibel levels had normalized, each of the four Houses were one step closer to the House finishing line for 2018-19. In a few weeks’ time, the entire School will mark All-House Day when the year’s efforts will draw to a close and we will learn who is crowned House Cup champion for 2019.